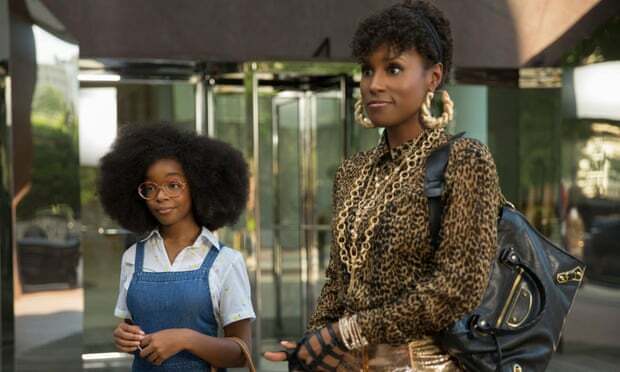 For those of you who have seen the film ‘Slumdog Millionaire’ you’ll have some understanding of the enormous and ever increasing gap between the rich and the poor in the metropolis of Mumbai which is depicted in the film. 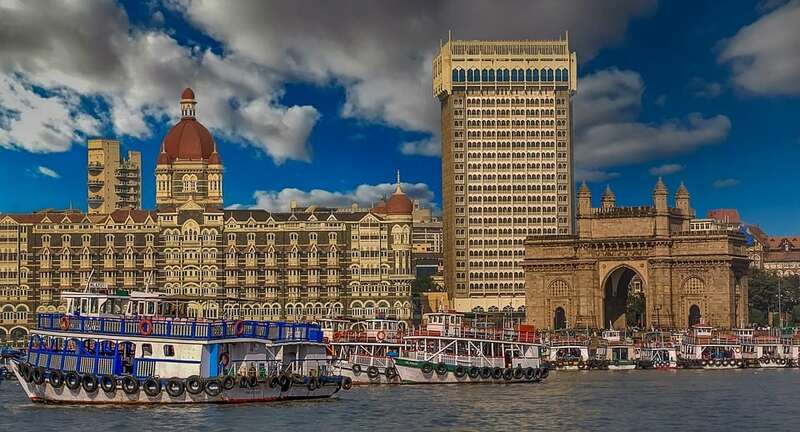 Mumbai (Bombay to locals and your granddad) is the richest and largest city in India, with over 20 million residents. Of this number, approximately 62 per cent are currently living in slums according to government figures. 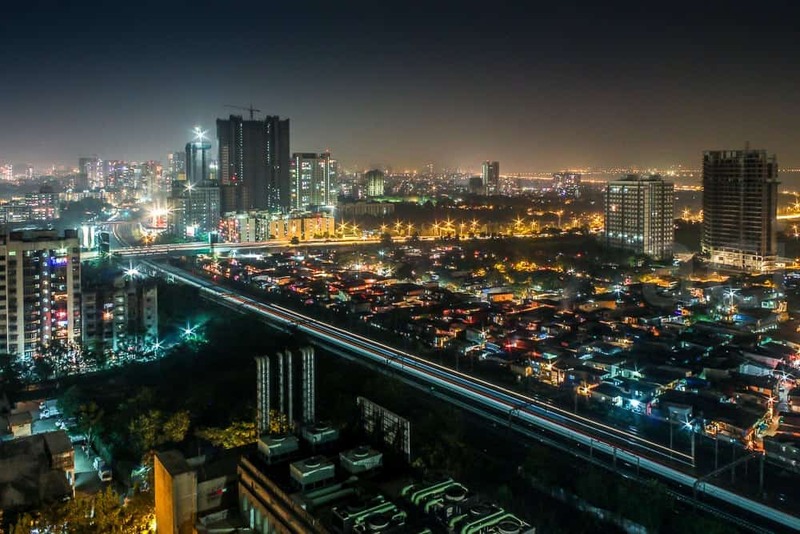 Despite this, Mumbai has a GDP of $370 billion, boasts the world’s most expensive private residence, houses some of the world’s most luxurious hotels and is the epicentre of the $3 billion a year Indian film industry. In this city of great inequality, I wondered what a tourist could do to help restore a bit of balance. Now I certainly wouldn’t consider myself to be a great warrior against social injustice, nor was this the prime focus of my visit, but the stark contrast in this city more so than anywhere in India is impossible to ignore. As it turns out, visiting Mumbai and having a notable effect upon it’s less fortunate citizens is something that is surprisingly easy to do. First up comes accommodation and there are a number of fantastic hotels in Mumbai that won’t break the bank. Abode Bombay is located in a prime spot in South Mumbai, surrounded by impressive colonial era architecture and moments walk from the Gateway to India it dubs itself ‘Mumbai’s first luxury boutique hotel’ and is a real gem. The extensive use of recycled teak, comfortable beds and personal touches from the staff everywhere you look make for a fantastic experience. The hotel’s eco credentials, collaboration with local craftsmen and socially driven work are also enviable, including partnership with a local school for blind children, the showcasing of local artists’ work throughout the premises and empowering women by hiring them as taxi drivers helping them to own their cars. When it comes to what to do in Mumbai it can be hard to know where to start. The chaotic traffic, polluted air and oppressive heat combine to make stepping out of the door of your hotel akin to watching a performance of Stomp in a giant sauna while the audience smoke Cohebas. But venture out we did, stopping first for dinner at Leopold’s Cafe (just round the corner from Abode) a true institution in Bombay and the setting of some pivotal scenes in Gregory David Roberts’ ‘Shantaram’. The fantastic food, old school decor and sense of history make at least a swift cup of chai here an absolute must. A jaunt to the west, to watch the sun set on our first night in the Asian subcontinent end up as a non-plus, with the sun sputtering out some 15 degrees above the horizon, concealed by a haze of smog. When we woke on day two of our day in the city and my girlfriend first suggested we go on a ‘slum tour’ I was initially dubious about the idea. The notion conjured up images of us both in a crocodile line of SLR camera clad tourists wearing socks under their sandals and sweat stained bum bags, staring and snapping at slum dwellers trying to go about their business like some kind of perverted tour of a zoo. Begrudgingly I complied and we booked ourselves on to a day tour with Reality Tours and it turned out to be the best thing we did. This is primarily because of the socially conscious nature of Reality Tours themselves who ensure that 80 per cent or more of their revenues go to a sister NGO company which runs schools and other projects within the slums and who’s tour guides are current or previous slum dwellers with an encyclopaedic knowledge of the slums and excellent English with which to profess it. As a result the insight into both the industry (the GDP of Dharavi – the largest slum in Mumbai – runs into the hundreds of millions of dollars) and family life of living in such a place is incredible, while the reception you receive from everyone you meet is a warm one. 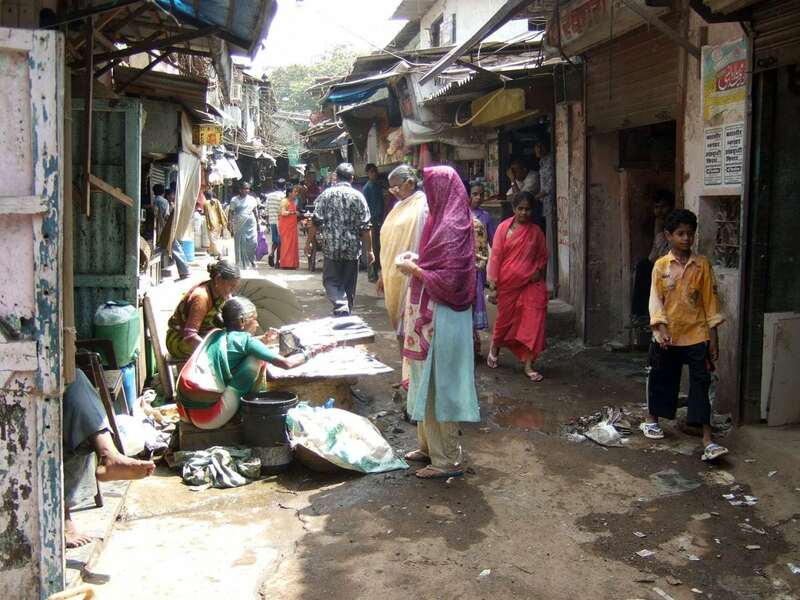 The tour left us with a completely altered and far more positive view of the reality of an Indian slum, without sugar coating what is still a harsh existence. That evening, sitting in a rooftop bar and sipping cocktails, our minor gripes concerning jet lag and sweaty backs were forgotten and replaced with a strong sense of gratitude and privilege just to be able to sit and drink as we were. 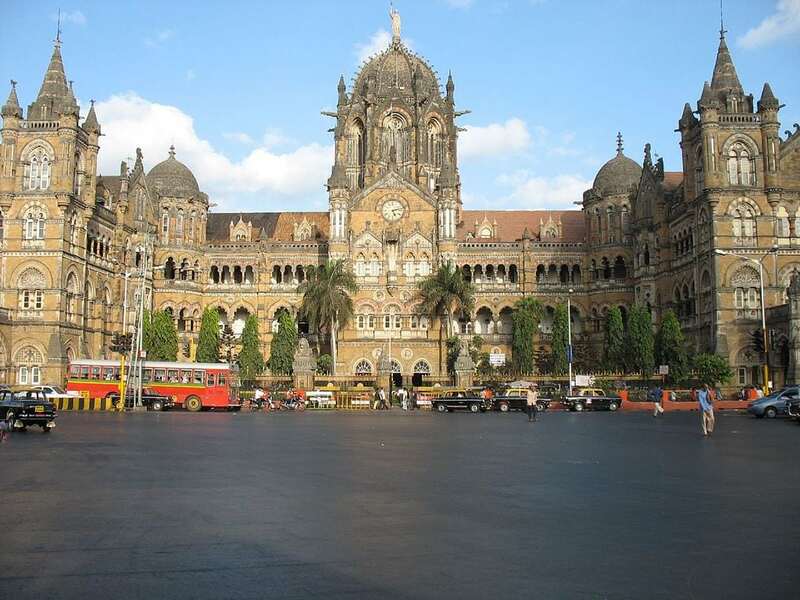 Mumbai may not be the most desirable tourist destination in India, but the gateway to the country it is, giving any traveller who goes there an opportunity to experience the beating heart of the South with the rose tinted glasses removed.